As Bonusland.co.uk can be accessed all around the world online, we may be reached in countries or jurisdictions that have different online gaming rules than what the majority of users are bound by. It is not practical for us to work out what the laws are related to you and whether you are able to use our site. This is why we have placed limitations on players from certain parts of the world. If you require further clarification about our work in this field, please contact us. Use of our site is available for people over the age of 18 or over the legal age in their jurisdiction, whichever is the higher.  Bonusland.co.uk will reserve our right to request proof of age so that we can ensure that minors are not accessing the site. Any play or use of the site by minors will be treated as void which includes any winning income a person has obtained. Use of the site is not permitted where the jurisdiction in that area prohibits a person from playing. Players carry full responsibility for use of the Bonusland.co.uk website and they play through their own choice and risk. A player that places a real money bet is doing so while indicating that they are legally allowed to do so. We are unable to provide any warranty with respect to the legal status of any player engaging in real money activity on any external websites. If you are a winner, you are available for promotional activities organised by the site. We will always endeavor to protect your privacy during these times. All users agree to indemnify Bonusland.co.uk, our employees, directors, officers and all affiliated or associated agents, organizations or persons fully against any liabilities, costs, expenses or damages that arise from any use of or transaction by a user on our site. All users will indemnify Bonusland.co.uk, our employees, directors, officers and all affiliated or associated agents, organizations or persons fully against any liabilities, costs, expenses or damages that arise from any action, legal or otherwise, taken by a player or third party acting on behalf of a player. This stands for all interactions or engagements with Bonusland.co.uk, our employees, directors, officers and all affiliated or associated agents, organizations or persons. This includes but not necessarily limited to any action that comes about due to any criminalisation that occurs within the online gaming industry for a particular player’s jurisdiction. All users hold no right to the Bonusland.co.uk trading name, our specific terms (for example payoff lines) or any materials, terms or otherwise provided by our site, software or included in communications.